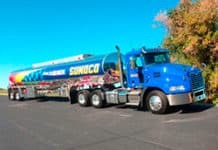 Sunoco was rapidly expanding its footprint across the nation and needed a truck manufacturer that could keep pace with company goals. It had five major requirements: the tractors needed to be lightweight, driver friendly, fuel efficient, powerful and good-looking. Mack Trucks provided all that and more, says Bob Manchester, Sunoco’s senior director of Transportation/Operations. Every day, more than 500 drivers — including nearly 200 ­owner-operators — haul loads coast to coast for Carroll Fulmer Logistics Corporation, Groveland, Florida. 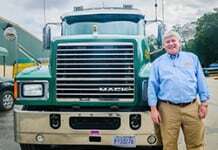 Monte Vanover, director of fleet maintenance, keeps the trucks — a challenge he says he enjoys even more since implementing Mack Trucks’ GuardDog® Connect.